Get 15% off your next order at The House Of Staunton with our exclusive discount promo code. Click ‘Get Code’ to get the voucher code and open the House of Staunton website. Select the correct currency in the top right corner. Once you’ve found your items, click ‘Purchase’ to add them to your shopping cart. Below the shopping cart, you’ll find a box labelled ‘Discount Code’. Enter the TroopScout voucher code into the box provided and then click ‘Apply’. Once the discount has been applied, calculate your shipping and tax prices by entering the country destination and post code. Click ‘Calculate’. Select your preferred shipping method, and then click ‘Update Total’. Click ‘Proceed to Checkout’. Select a checkout method; register, checkout as guest or login if you’re already a customer. Click ‘Continue’. Enter billing, shipping and payment information. Click ‘Continue’ to review your order before confirming the purchase. 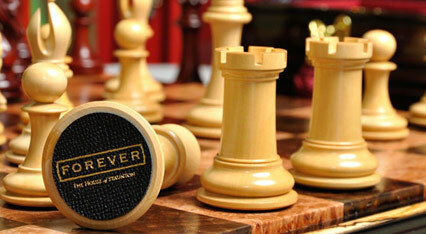 House of Staunton is the world’s biggest manufacturer of the finest chess products. Here you can find stunning chess sets, signature tables, intricate pieces, books, software and so much more! Discover everything there is to do with playing chess at House of Staunton.